JLM has upgraded the packaging of its universal Valve Saver Fluid top-up solution for owners of LPG cars and has made available new Point Of Sale (POS) material. The black plastic 0.5 litre and 1 litre bottles will make way for tins that are printed on using lithography. The new packaging and POS material will be available from mid-November onwards. 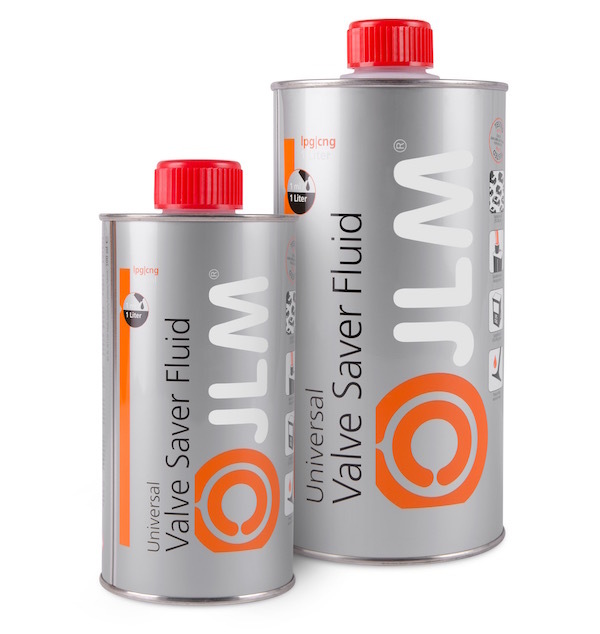 JLM Valve Saver Fluid protects and cleans the intake and exhaust valves and valve seats of cars that run on LPG and in old cars works as a substitute for the lead lubricant that is no longer part of car fuels. 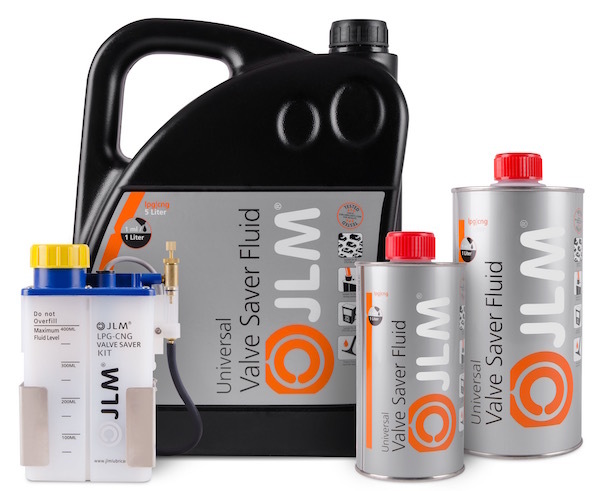 JLM Valve Saver Fluid is suitable for use with all Valve Saver Kit brands in all cars. In addition, Valve Saver Fluid cleans the fuel system and the entire intake system of cars and it can help to reduce fuel consumption and emissions of harmful gases. Over the past five years, hundreds of thousands of black plastic bottles of 0.5 litre and 1 litre Valve Saver Fluid have found their way to owners of LPG cars. However, the number of brands using similar packaging to profit from JLM's reputation for quality is on the rise. This has prompted us to rebrand the packaging to make our product stand out even better to owners of LPG cars, LPG installers, car dealers and motor factors. The new packaging of Valve Saver Fluid for LPG is unique, even easier to recognise and more professional, with a premium look. Together, these features put even more emphasis on the cleansing, protective properties of the product and makes them more recognisable than ever. The number of languages on the labels has been expanded to 15. The labelling is in compliance with current CLP regulations relating to chemical mixtures. The existing 5 litre plastic bottle will remain unchanged, apart from a new label that reflects the new quality labelling of the other Valve Saver Fluid packages. Valve Saver Kit number J01310EN will be delisted. The dosing reservoir with the LED light (incl. small fitting material) is now available separately (see the table below). The 0.5 litre packages are now available in a 12-tin box. The box containing 24 tins will no longer be available.